el apartamento hermoso en todo. Barcelona ciudad para conocerla. ofrece todo. This modern apartment is located in the stylish Eixample neighbourhood of Barcelona. Near to the apartment you will find all the amenities you would need for a comfortable stay, including supermarkets, bars, cafés and restaurants. Situated just a few blocks away you will find Gaudí´s Sagrada Família and the Torre Agbar. 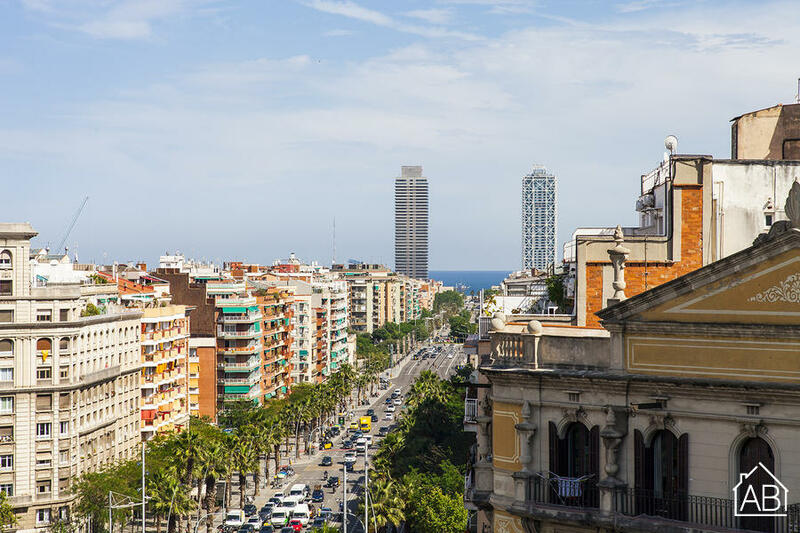 The rest of Barcelona is also easily accessible by public transport. The apartment itself is bright and modern throughout. There are 3 bedrooms in total meaning this apartment can sleep up to 6 people comfortably. There is a fully equipped kitchen allowing you to prepare your favourite meals in this lovely apartment. The living room has a TV and, for your convenience, this apartment is also equipped with a hair dryer, iron, ironing board, dishwasher and a washing machine. There is also an internet connection allowing you to stay in touch with friends and family back home.